As I found myself getting more interested in homebrewing, I began to find that I just didn’t have enough time to read all of the books, magazines, blogs and other articles that I came across. This left me searching for other ways to find out and learn more about home brewing. Then, one day while browsing iTunes for an ESPN podcast, I decided to search for brewing podcasts, and I found exactly what I was looking for. A way to consume brewing information without having to sit down to read it. Now, whenever I’m commuting, I can plugin my iPhone and soak up some brewing podcasts. Here are the 5 best homebrewing podcasts that I have found and listen to regularly. These 5 podcasts will make you a better brewer. Subscribe to any or all of them, and suggest any in the comments that we may have missed. This podcast has been around forever. This podcast specifically focuses on homebrewing. Each week, they try to bring to you interesting interviews with people who can shed light on the hobby, share an interesting story, or give expert advice to help us all become better home brewers. 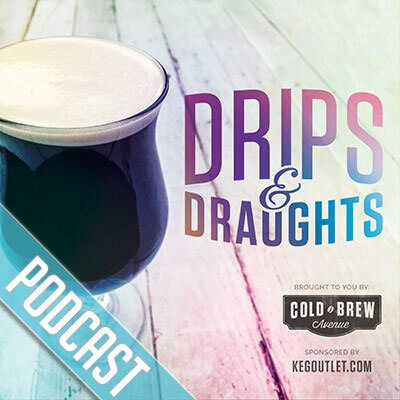 You’d be hard pressed to find a better podcast about brewing than this one. Each week award winning homebrewer and author Jamil Zainasheff, along with co-host Jon Plise, covers a specific beer style and how to brew it at home. From recipe design to fermentation techniques, The Jamil Show covers everything you need to know to brew classic styles. The original Brewing Network Sunday show that brought live beer radio to the internet. Each week the BN crew covers a homebrew and/or craft brew related topic in depth through guest interviews with beer industry professionals and celebrity homebrewers. With a fresh mix of fun and information, an eclectic cast of characters, and live interaction with listeners, The Session brings beer radio to life! The BeerSmith Home Brewing Show is a beer brewing podcast focused on how to brew beer, homebrewing techniques, and beer stories from top US and international brewers. In each episode we bring you an interview with guests assembled from around the world to talk about beer, craft beer and homebrew. The BeerSmith podcast is hosted by Dr Brad Smith, the author of BeerSmith homebrewing software, the book “Home Brewing with BeerSmith”, and the BeerSmith blog which attracts nearly 50,000 readers monthly. All about homebrewing beer,Craft and micro brews,We talk about Homebrewing tips and tricks,Taste Micro brewed and homebrewed beer,Interview industry pros and more…Explicit content! In my opinion, these are the five best podcasts for homebrewing. There are plenty of other great podcasts out there that talk about craft beer, the beer industry in general, beer and food pairings, etc. But if you are looking to increase your homebrewing knowledge and to make better beer, these top 5 podcasts will help you get there.